-From ABC, Watch here. Not much else to say except I hope, somewhere some document comes to light about specific titles. But in the mean time... The Librarians don't trust her, and neither should anyone else. It's not just the censorship (though that is the worst for me.) It is the firing, intimidation, and now the lying. ROBIN ROBERTS: No doubt Sarah Palin has a huge following already. So many love her, but many want to know more about her resume. The details of her tenure as mayor and governor are still coming into focus. And this morning, we have new information on one battle she waged as mayor of Wasilla, a battle that brought her toe-to-toe with a local librarian over which books were appropriate and which were not; something her critics say crossed the line into censorship. Our chief investigative correspondent Brian Ross has the details. Good morning, Brian. BRIAN ROSS: Good morning, Robin. As the mayor of the town Wasilla, Sarah Palin raised questions about removing books in the public library and then tried to fire the town librarian. She says the two were not connected. Sarah Palin was elected the mayor of Wasilla in 1996, with the strong backing of her church, the Wasilla Assembly of God. REV. HOWARD BESS: It wasn't just simply a matter of her using the religious right to get elected. She was one of them. ROSS: Palin has since changed churches. But Assembly of God ministers are well-known in Wasilla for taking strong positions on moral issues, including this recent sermon by the current pastor. ED KALNIN: Everybody in the world has a guilty conscience. That's why homosexuals wants laws of the land to justify their sickness; they have a guilty conscience. ROSS: Around the time Palin became mayor, the church and other conservative Christians began to focus on certain books available in local stores and in the town library, including one called "Go Ask Alice," and another one written by a local pastor, Howard Bess, called "Pastor, I am Gay." BESS: This whole thing of controlling, you know, information, censorship, yeah. That's a part of the scene. ROSS: Not long after taking office, Palin raised the issue at a city council meeting of how books might be banned according to news accounts and a local resident, a Democrat, who was there. ANNE KILKENNY: Mayor Palin asked the librarian, what is your response if I ask you to remove some books from the collection of the Wasilla Public Library? ROSS: The Wasilla librarian, Mary Ellen Edmonds, the then president of the Alaska Library Association, responded with only a short hesitation. KILKENNY: The librarian took a deep breath and said, the books in the collection were purchased in accordance with national standards and professional guidelines, and I would absolutely not allow you to remove any books from the collection. ROSS: A former town official and Palin ally says Palin's questions were only rhetorical. JUDY PATRICK: There were no specific books that were ever banned from the city. Mayor Palin did enquire of the librarian about the policy of removing books from the library. ROSS: A few weeks after the council meeting, the mayor fired the librarian, although she was reinstated after a community uproar. JUNE PINNELL-STEPHENS: You'd like to hope that elected officials understand the role of the librarian in democracy; that is to provide access to information to everybody in the community. ROSS: The Wasilla librarian, Mary Ellen Edmonds, left two years later, and according to friends, because it was just too hard working for Sarah Palin. In a conversation with me yesterday, the librarian said she could not recall Palin ever asking for specific book titles to be removed from the shelves, but she acknowledge her treatment by Palin had been very rough – "I just don't care to revisit that time of my life," she told me. ROBERTS: I'm sure. Brian, you know there's so much out there on the internet. And much of the information is wrong. In fact, in response to your story right there, the McCain campaign sent out this three pages to us. And they're trying to shoot down as much as they can. In fact, there was on the internet about a list -- a long list of books. That just wasn't true. ROSS: That not true, that long list of books that some may have seen on the internet, that's simply made up. That was not part of this discussion. The mayor did raise the question of how to get books off the shelf. 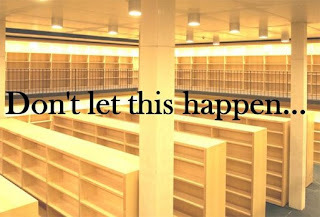 If people were picketing the library, would you take books off the shelf? The librarian was offended by that, as were members of the Alaska Library Association, who to this day remain very wary of Sarah Palin.